DWF became the largest law firm listing in British history after its successful IPO earlier this month. DWF’s share price is currently holding steady at the market cap valuation of just over £360m. As competitors keep a careful eye on DWF’s progress, what lessons can they draw as to public listings as a strategy for law firms? There was considerable discussion when DWF announced the planned IPO as to the firm’s valuation, which was someway short of the £500m valuation that had been initially mooted in the legal press, albeit higher than DWF’s own estimates just six weeks ago. However, as the dust settled on the first few days of trading, the IPO had resulted in a capital raise of £95m, leading to significant returns for the partners and a boosted balance sheet with which DWF will invest in major IT infrastructure and fund an acquisition strategy. Though some will seek to draw a negative from DWF’s lower value on market-entry, with a five-year share vesting period and clawback provisions for departures within two years, DWF has sought to ensure that internal shareholders will be focused on medium and long-term business growth and increased shareholder value. However, DWF’s experience demonstrates the importance of undertaking a robust valuation exercise and maintaining control of market messaging through careful PR. It is clear from DWF’s prospectus that it views the three ‘Rs’ – recruitment, retention and remuneration – as being vital to the firm’s growth strategy. However, by opting to move away from the traditional tenancy and full profit distribution partnership model, DWF is fundamentally changing its remuneration and progression structure, which has the potential to impact on long-term recruitment and retention of talented lawyers in a tight labour market. DWF’s equity partners have reduced their annual remuneration by approximately 60% in order to increase net profits for all shareholders. The reduction will be partially offset by dividend income from shares. However, the equity partners will ultimately be looking to realise considerable capital gains (with a potential tax rate of only 10% if they qualify for entrepreneur’s relief) when they eventually sell their shares. This will, of course, be dependent on the share price at the time of sale – and as Slater & Gordon partners will testify, share prices can go down as well as up. 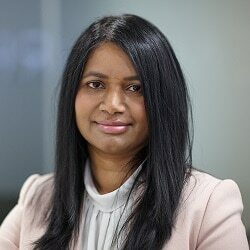 Whilst the current class of senior equity partners are the major beneficiaries of the float (as significant shareholders), if the business is to be sustainable and successful in the long term, DWF will need to ensure that its remuneration and progression model can attract and retain the new generation of partners. DWF will be competing with traditional law firms which, whilst they do not offer a capital opportunity, do generally distribute 100% of income profits to partners. Having sold around 26% of the equity to external shareholders and adopted a dividend policy with a target dividend pay-out ratio of up to 70% of profit after tax, DWF partners will have a much smaller share of the income pie. Future DWF partners will need to weigh up the proposition of reduced income profits with share ownership and potential capital gains (subject to vesting and clawback of shares and stock market performance) against the traditional law firm model of partner remuneration. That said, in light of many law firms moving away from the traditional lock-step, DWF’s approach as a PLC is likely to be less of a shock to lawyers and the wider market than it might have been a decade ago. The partnership culture of law firms is often cited as a key draw – or occasionally downside – of the profession. Lawyers working in partnerships typically enjoy a well-trodden path to partnership status, with a particular ethos of collegiality, mentorship and peer respect being the key to achieving the professional – as well as financially beneficial – distinction of partnership. In light of how few law firms have moved to a PLC model, it is unclear what, if any impact, the loss of partnership culture will have on listed law firms. DWF has made significant public statements regarding the need to remain an attractive place to work with an intelligible and worthwhile career progression trajectory. DWF is right to recognise that importance but replicating the collegiality of the partnership model may be challenging in a listed law firm environment. The added public scrutiny that will come with a public listing will also likely change the historically consultative and deliberative decision making of a law firm, as DWF will have to respond to listing rule requirements and risks such as insider information. 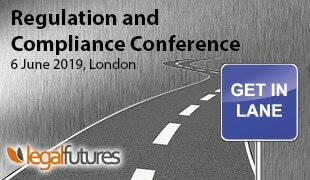 Such changes are likely to bring profound cultural shifts, and in so doing risk losing talented fee-earners for whom the traditional law firm model was something they positively chose out of an – outdated or otherwise – attitude that it is a distinct profession and not just another company on the FTSE.